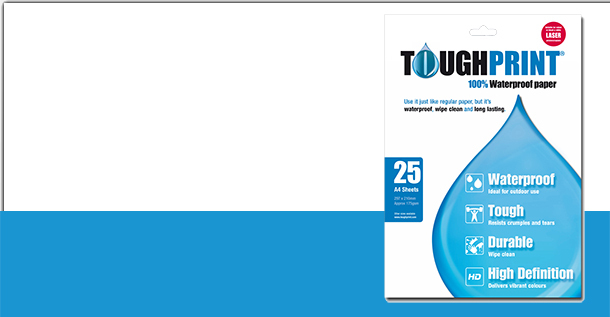 Toughprint is a 100% Waterproof paper suitable for colour and black & white inkjet and laser printers and copiers. 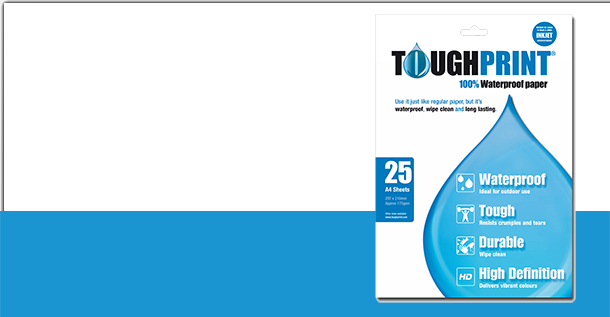 It looks and feels like paper but has the added bonus of being so tough it won't tear even when wet. Toughprint can be used for all sorts of printing needs and there's no need to laminate as the paper can be wiped clean.